Discussion in 'Magazines' started by Royal-Galliano, Feb 19, 2009. ^because it's USA symbol ! I really hope this the right cover ! I love it !!!! What needs to be on the cover is the hotness that is Hedi Slimane. I'm so underwhelmed by this cover. I have to wonder if maybe it's time we look beyond the Eagle as a symbol for the United States and find others. oh wow! i somehow see a hint on Thom Browne here. wonder if it makes any sense. this is practically hedi's magazine, it's 2/2. 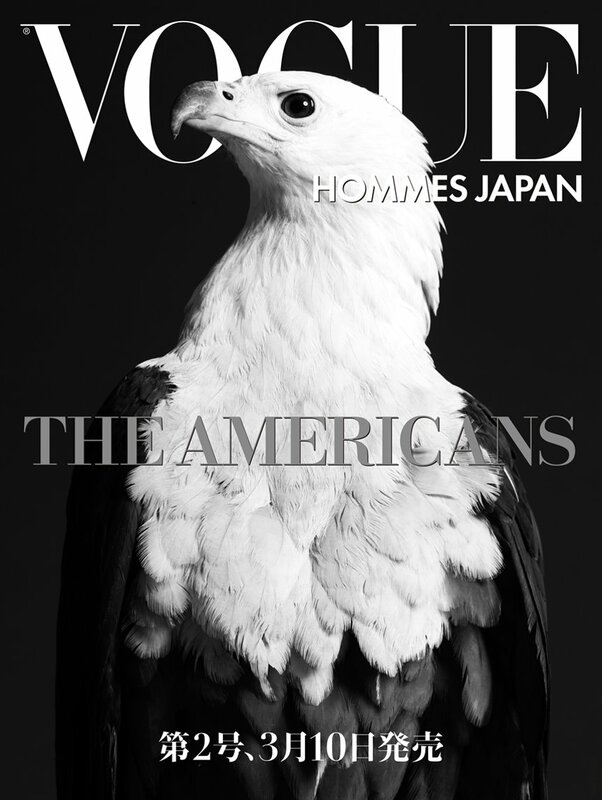 i'm curious to know what "the americans" is about though, from the perspective of a french designer/photographer for a japanese magazine. WOW i soo love this cover, nicely done. Is this the actual cover? I like it. what do you mean ? If you mean the date on the cover shot ... well it's a preview cover, it's just to announce the date of release ! You know, you US citizens, have a lot of pression onto your shoulders recently ... Every eyes is on your new President ! this is definitely NOT the actual cover, just a teaser, like they did it last time.